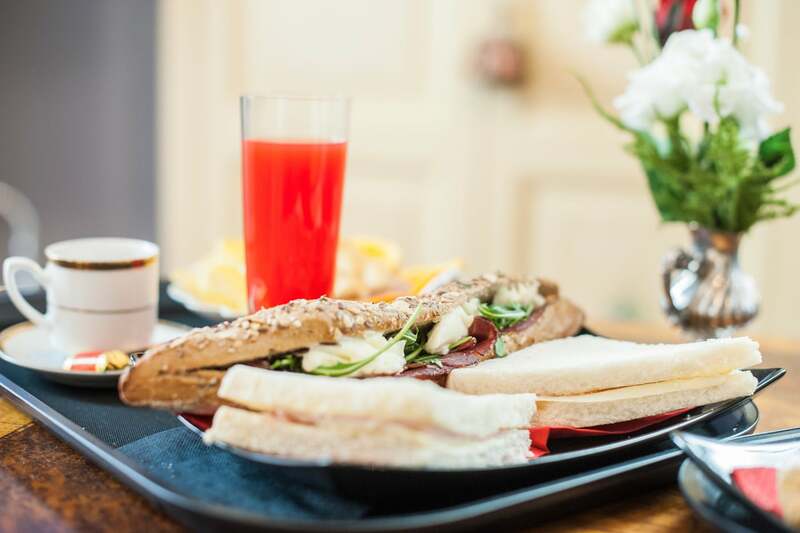 At the old Bar Pasticceria Quattro Cantoni, on the ground floor of Palazzo Borghesi you will be served unlimited Italian breakfast, simply on a personal voucher which you will be issued at check-in. At your request the staff of Residenza Borghesi will be happy to serve as an alternative, a great breakfast in your room. Cleaning service and change of towels daily. Among other services included in the price: wifi throughout the hotel, took LAN, mini bar, sitting area with Nespresso maker with pods, kettle with tea, glasses with ice bucket, assistance booking restaurants and tour guide / wine tours, assistance for car rental with or without driver / transfer, luggage storage. For a fee: car-valet service and private garage parking.